In this week's episode of the All Freelance Writing Podcast, I highlight five common blogging myths and misunderstandings new bloggers should look out for. You have to post every day, or nearly every day. Every post should be "epic" content, over 2000 words, etc. There's some big difference between "blog posts" and "articles," and freelance bloggers should be paid less than "article writers" as a result. Blog planning and organization isn't a big deal, because it's super simple to change it later. You should never monetize your blog when it's still new. All complete and utter BS. And after explaining why, the episode moves on to a community question from Gina Alianiello about why freelance writers often don't mention the research time involved in their projects on their professional websites. And I close out this episode with a book recommendation for indie authors looking for book marketing tips and ways to stand out. You can listen to the podcast below or visit the official episode page to read the show notes. I agree that every that you don’t have to post every day and write 2,000 words or more. If your audience doesn’t want to read lengthy posts, don’t write 2,000 words. Keep your posts between 500-700 words. Break it up by posting infographics and videos. P.S. I post once a month on my blog. That’s my frequency on several of my smaller blogs Amandah, and it works perfectly for the goals of those blogs. Frequency demands can change a lot between business blogs and niche interest blogs. I’ve found that niche / informational blogs tend to have “hungrier” readers, and the goal is usually tied more to increasing regular readership. But there are countless other potential goals for business blogs, and high frequency posting can be much less important there. Thank you for such an informative article. 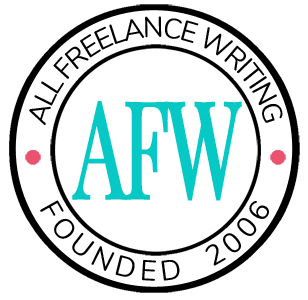 I’m new to freelance writing and have heard these myths time and time again.